If you have an extra USB port lying around you might want to pick up one of these Pac-Man Ghost inspired USB lamps just because they're so darn cute! Each ghost will cost you around USD 10.00 of your hard earned cash but it will definitely more than make up for it with it's built in light sensor that turns it on the moment things go dark. 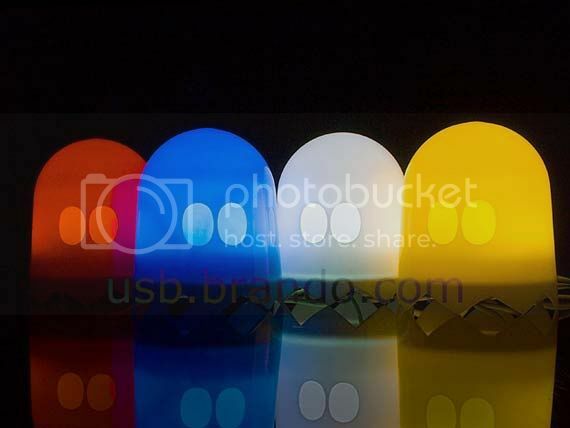 I'm pretty sure there's an actual Pac-Man USB lamp somewhere around the web to compliment these Ghost USB Lamps but I'm just too lazy to try and find 'em. You can go ahead and get one of these guys at the source link below.